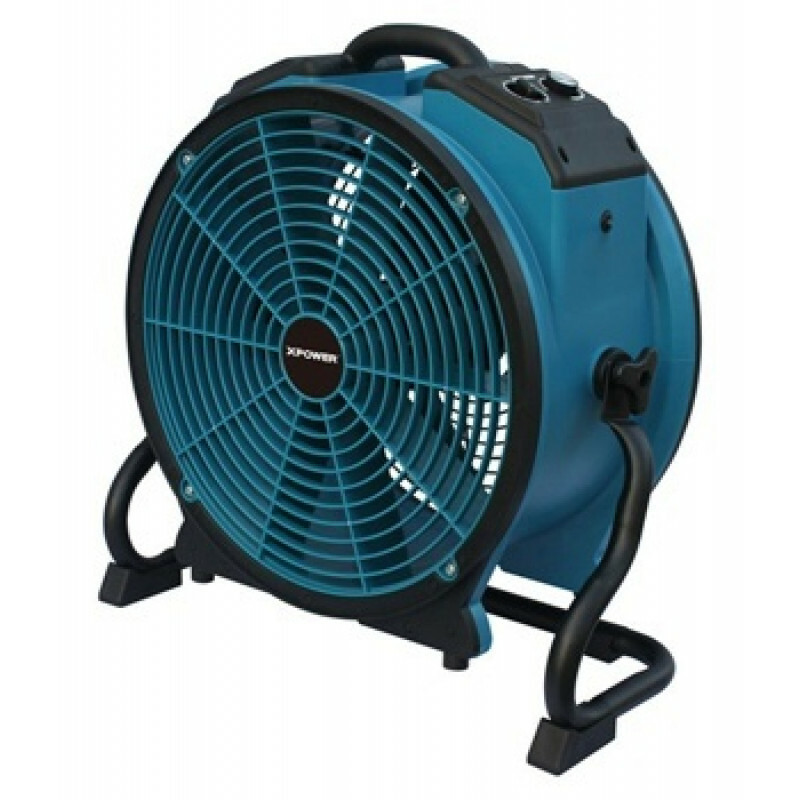 This is one of the most popular axial flood drying fans on the market. Perfect's down draft blowing air mover can be used as a standard axial fan, or tipped on its side to pull warm air down from the ceiling, and blow it directly onto the floor. Never before has carpet drying been so easy! We take pride on how economical this machine is. Not only will it dry vast area of carpeting, but it only pulls 2.8 amps. So, you can either run it off a generator, if electricity is not a possibility, or you can run up to 4 of these down draft blowing air movers off of a single outlet, and not have to worry about blowing a fuse. Down draft blowing air mover pulls warmer air from above driving it down and across the entire surface of the carpet. Incredibly low 2.8 amp draw allows you to daisy chain multiple units together. One dryer can dry a typical office or room in as little as 15 minutes. 360° air flow allows you to dry in all directions at the same time. 3 hour timer allows you to setup multiple fans without having to comeback to turn them off. Completely variable speed control allows you to adjust the fan speed exactly to your liking. This is a review for the Xpower Down Draft Blowing Axial Air Mover - 3600 CFM.